One day Nasreddin Hodja joined his friends at the coffee shop. Actually, most every day, he joined them there, but on this particular day, one of his friends asked him if he played the saz. “Indeed!” he replied. “I’m very good at it, virtuosic. People weep when I play, they are so moved.” It just so happened that a saz was present, which wasn’t surprising. Finding a saz in a coffee shop in Turkey is like finding neighborhood men in a coffee shop in Turkey. The saz is a long-necked, stringed instrument related to the lute, which has been prominent in traditional Turkish music for centuries. 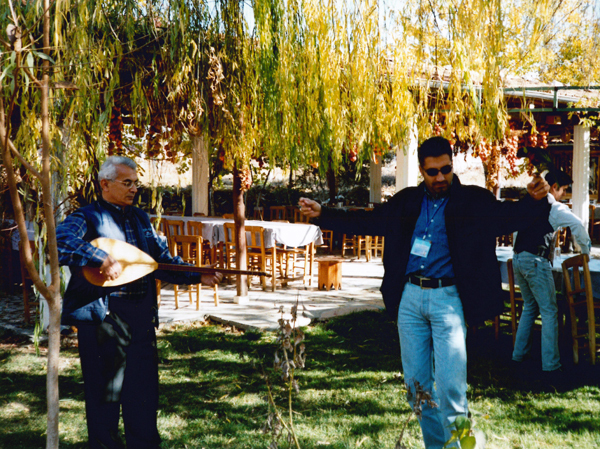 Atakan dances for his lunch. This entry was posted in Folktales, Turkey and tagged nasreddin, nasreddin hodja, saz, Turkey by yalla2013. Bookmark the permalink.